How Do You Get Rid Of Ransomware? Ransomware is a type of malware that demands money by taking control of your computer. In general, it’s best to avoid paying the ransom. If you feel you have no choice, then the ransomware has exposed critical flaws in your security systems, and backup and recovery procedures. Due to inadequate offline or cloud backups, many businesses have been hit by ransomware attacks that infect files on the server as well as on individual computers. Ransomware is continuously evolving, with new variants appearing in the wild and posing new threats to businesses. However, there are some ransomware variants which have been much more successful than others. The most common type of ransomware is the Crypto ransomware. Its primary aim is to encrypt the victim's personal data and files. Another type of ransomware is the Locker ransomware which is designed to lock the victim's computer and prevent them from accessing their computer altogether. Nowadays, most anti-virus software is familiar with all the common variants of ransomware, and if not, should include heuristics technology that recognizes potentially dangerous processes, such as encrypting files. Unfortunately, users can expose their devices to ransomware, either by downloading infected software programs or by opening malicious files that arrive in phishing emails. Of course, anti-virus programs should scan those files as well. But, the problem with this approach is that your antivirus software may be outdated. Ransomware can be easily prevented if your computer is running a fully updated copy of Windows with updated software applications and anti-virus software. If you are aware of ransomware infection on your computer, you can prevent it from doing any harm by immediately disconnecting your computer from the internet, reformatting your storage drive, and reinstalling the operating system and other software from a backup. If you are using Windows 10, then you can use the “Restore factory settings” option to solve the problem. Type 'reinstall' in the Windows search box, then click on 'Remove everything and reinstall Windows' option. Make sure to back up your computer and always use up to date security software (antivirus) equipped with specific anti-ransomware technology. Above all, never pay a ransom as it only encourages the attackers behind the ransomware attacks. Ransomware is a serious threat to your computer and your data. 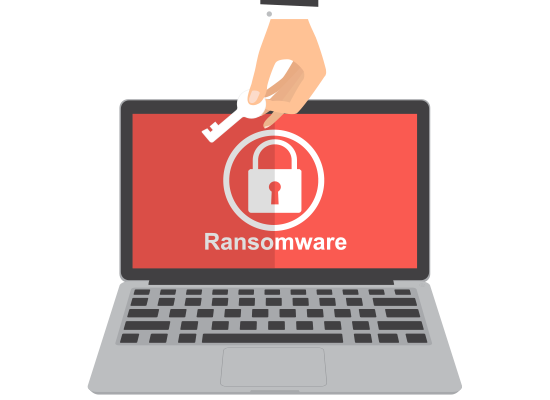 By practicing safe computing habits and by using up to date security software, you can stay protected from encryption ransomware. Do your part by remaining vigilant and installing trusted security software such as the Comodo Antivirus. For enterprise users, Comodo Advanced Endpoint Protection (AEP) is ideal. With a built-in containment engine and 'Default Deny' platform, Comodo AEP provides 360-degree protection against any malware including ransomware. Comodo AEP includes antimalware, antivirus, and firewall along with a Host Intrusion Prevention System (HIPS). It blocks ransomware attacks by examining and sandboxing suspicious files, applications, and processes. For more details about Comodo Advanced Endpoint Protection, contact us at EnterpriseSolutions@comodo.com or +1 888-256-2608.